SendOwl makes it easy for people to sell their digital products online. My job is to ensure they are consistently producing (and maintaining) compelling, branded content that fulfils key business goals. As their content strategist, my job includes: working on our content marketing strategy, overseeing our content-led SEO strategy, making improvements to our onboarding process and creating internal documentation so the team functions smoothly. 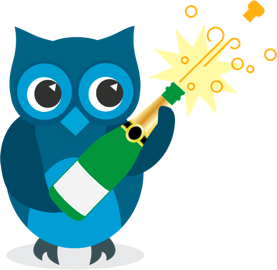 I also write and edit copy for SendOwl. This article I wrote for Gather Content shows how we use surprise and delight to grow the business. Artios is a digital agency that uses maths to grow their client's companies. They specialise in SEO. I occasionally work with Artios on a consultancy basis as their director of content strategy. Their clients include tech companies like Xoomworks, as well as innovative medical startups like bcalm. 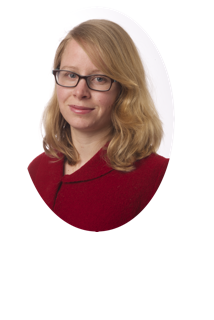 "Hannah is a fantastic content strategist, she brings a flexible approach, combining content strategy, marketing and copywriting which is the backbone of any successful marketing campaign. What I find particularly impressive is that she will listen to what my clients want, take on feedback and endeavour to produce work that satisfies all stakeholders, without costing the earth. I highly recommend Hannah. Andreas Voniatis, managing director of Artios. 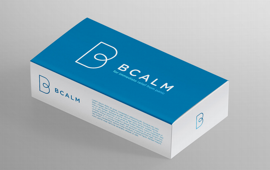 Bcalm is a revolutionary medical device that quickly provides relief for people during panic attacks. It's been developed by a dedicated team of medical and investment professionals. The challenge was to ensure that we developed a brand that appeals to people in an emotionally-charged condition, something which is often done very badly (as anyone who has browsed panic-related sites will know!). Early-stage user research was critical in helping us build a brand that was calming, safe, accessible, and scientific. Vimcasts is an essential resource for anyone who wants to learn how to use the text editor Vim. Vimcasts wanted to increase people's engagement with the site by making the content easier to navigate on all devices, increase traffic to the site through a broader social media strategy, and give more visibility to training, publications and pro-screencasts. I helped with user research and interpretation of the metrics. I also wireframed key pages, as well as edited existing copy and created new copy where necessary. I've blogged about my content strategy work on Vimcasts. Xoomworks are a technology company with a fantastic client list, who specialise in procurement, business intelligence and technology outsourcing. After a reassessment of their business model to allow their business divisions more autonomy, they needed a website overhaul. We helped them develop three microsites that nestle within the main site. The challenge was to ensure consistency across the microsites while still communicating the key messages of each business division. By approaching this project content-first, we were able to concentrate on developing a strong, consistent and usable online presence. Get in touch at hannah.adcock@gmail.com so we can talk about what you need.